If jazz-fusion has a futureor even a presence in this day and agedrummer and composer Massimo is certainly the one to provide its direction. One of the few fusion exponents on the scene today, Massimo expounds on sounds that breathe with a certain air of electrified creativity that's been repudiated in the main for at least two decades now. The question remains though, whether jazz fusion has anything left to say. 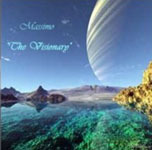 If Massimo's third solo effort, the rather lugubriously titled The Visionary, is any indication, the answer is positive. While the disc's title and each of its songs seem to suggest some sort of throwback to the sci-fi weirdness of L. Ron Hubbard's Space Jazz (Applause, 1982)thankfully without the lyrics and the zany asidesthe music is clearly of this planet, circa 1978. Perhaps not as visionary as the title would lead one to believe, but, then again, it suggests that jazz fusion hadn't finished saying what it had to say when interests went elsewhere. One might well argue that jazz has hardly developed much since it unplugged all those years ago. 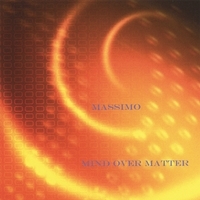 As a drummer, the propulsive Massimo is driven by a mad mix of Tony Williams and Billy Cobham. Back in the 1970s, both drummer/leaders also knew how to put together bands of major melodic fervor, as electrified as electrifying. Massimo has that down too. Here, he partners with underrated and too-little recorded keyboard virtuoso Barry Miles, whose many such fusion recordings have cult appeal but not the recognition they richly deserve. Miles is brought in for the occasional solo, sticking mostly to the mini-moog (and beautifully on piano for "Deacon Position") and enlivening Massimo's impressionistically abstract compositions with a playfulness that recalls a spritely Chick Corea. Massimo alters the electronics throughout to keep it interesting, fortunately sounding as if he locates most of his soundscapes in the analog domain. The rest of the band is also plugged in, most surprisingly trumpeter John Swana, who is heard here on the EVI, an electronic wind instrument which can sound like a fuzzed-out wah-wah guitar ("Clarity"), a lyricon ("Assembly Line"), or, at times, the electric vibes Gary Burton used to play ("Conquest"). Guitarist Shawn Q (aka E. Shawn Qaissaunee) is pretty much the only other player given ample and well-deserved solo space here. Shawn Q knows his forbearers, vibing Larry Carlton ("Clarity"), Al Di Meola/Jeff Beck ("The Visionary Suite"), John Scofield mixed with a few others ("Rotazione"), Pat Martino (the amped-up Bob James-like "Altitudine 5") and channeling something of each into what ultimately becomes his own ("Deacon Position"). Despite a lack of strong compositions in evidence, The Visionary maintains a faultless narrative flow throughout that either yields to or inspires compelling improvisation by the soloists. Even as the music sometimes meanders, the players understand the leader's vision quite well and in turn repay it with meaningful insight.